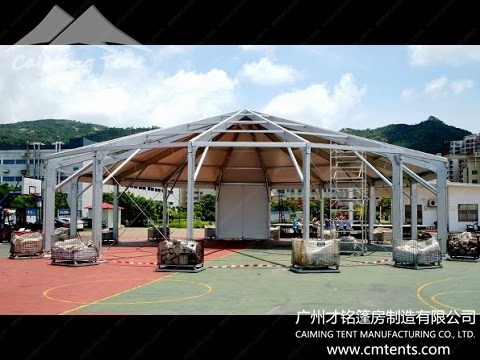 The large Hexadegonal Tent in CaiMing is unique and grand in out looking and exclusive as the widest polygon tent in China. 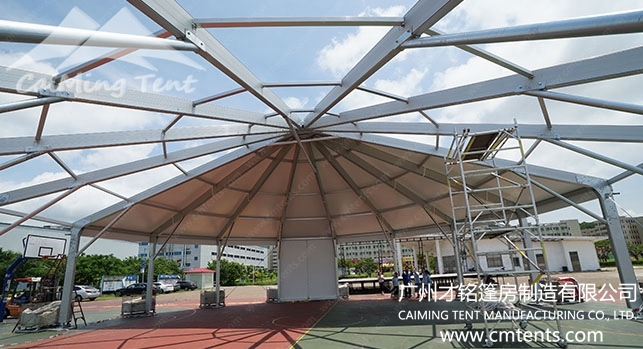 The clear span of the hexadecagon tent is 35m, side height 4m and ridge hight 9.68m; it is made out of hard pressed extruded aluminum 6061/T6 (13HW) structure with a four channel profile size of 300x125x5/8mm. All the fabric we use consists of 850g/sqm black-out double PVC coated polyester textile. The fabric is waterproof, flame retardant to DIN4102 B1, M2, and UV resistant. It can withstand 100km/h of wind loading, which makes it strong and durable. It is suitable for all kinds of events, sports games, exhibitions, and ceremonies. The Installation and dismantles is easy in process and short in time. 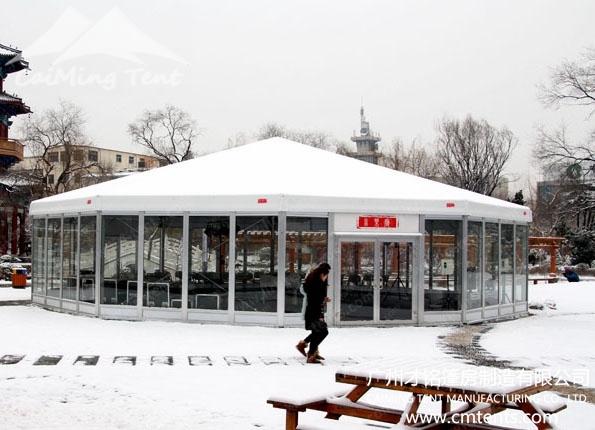 It can used either as a temporary structure or a permanent building. The optional accessories for this type are all available; you can choose white pvc clear window sidewall, transparent sidewall and roofs, glass wall and glass doors , ABS hard wall, ground anchor, weight plate, wood cassette flooring, lining curtains, etc.